When the James Webb Space Telescope finally takes to space, it will study some of the most distant objects in the Universe, effectively looking back in time to see the earliest light of the cosmos. 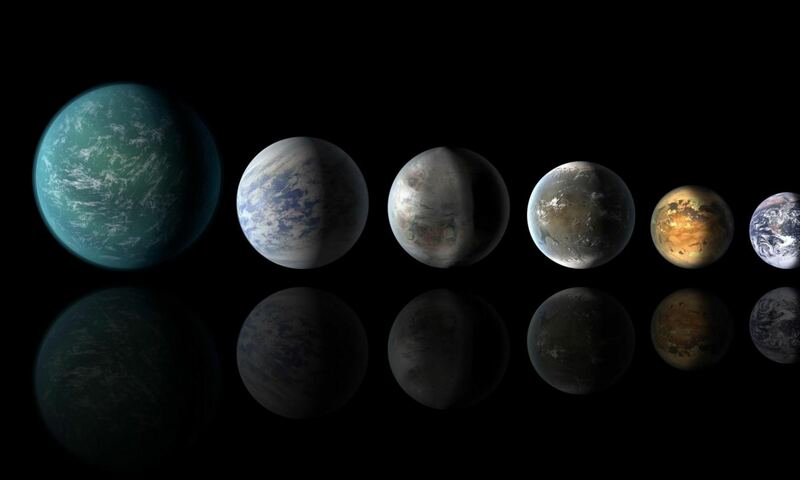 It will also study extra-solar planets around nearby stars and even bodies within the Solar System. In this respect, the JWST is the natural successor to Hubble and other pioneering space telescopes. It is therefore understandable why the world is so eager for the JWST to be launched into space (which is now scheduled to take place in 2019). And recently, the telescope passed another major milestone along the road towards deployment. 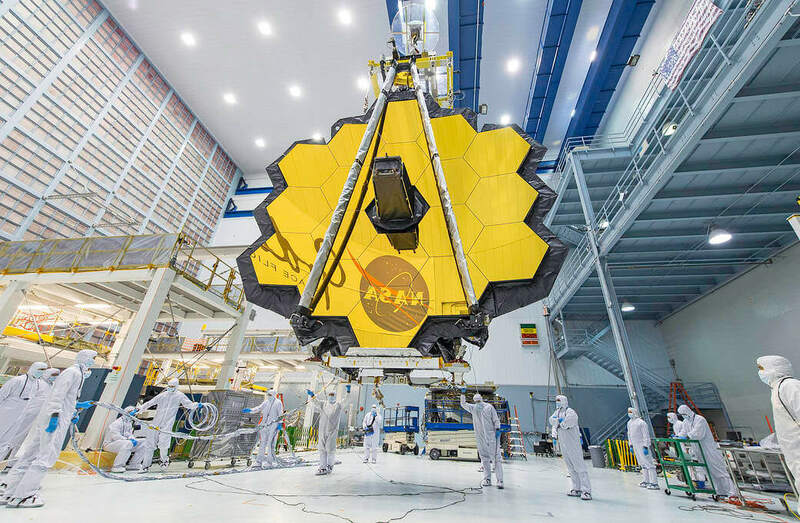 After spending three months in a chamber designed to simulate the temperatures and vacuum conditions of space, the JWST emerged and was given a clean bill of health. The tests took place inside Chamber A, a thermal vacuum testing facility located at the Johnson Space Center in Houston, Texas. This chamber was built back in 1965 as part of NASA’s race to the Moon, where it conducted tests to ensure that the Apollo command and service modules were space-worthy. Beginning in mid-July, the telescope was put into the chamber and subjected to temperatures ranging from 20 to 40 K (-253 to -233 °C; 423 to 387 °F). Once the temperature and vacuum conditions were just right, a team of NASA engineers began testing the alignment of the JWST’s 18 primary mirror segments to make sure they would act as a single, 6.5-meter telescope. As Bill Ochs – the James Webb telescope project manager at NASA’s Goddard Space Flight Center – indicated to ArsTechnica, this latest test has shown that the telescope is indeed space-worthy. The team of engineers also tested the JWST’s guidance and optical systems by simulating the light of a distant star. Not only was the telescope able to detect the light, its optical systems were able to process it. 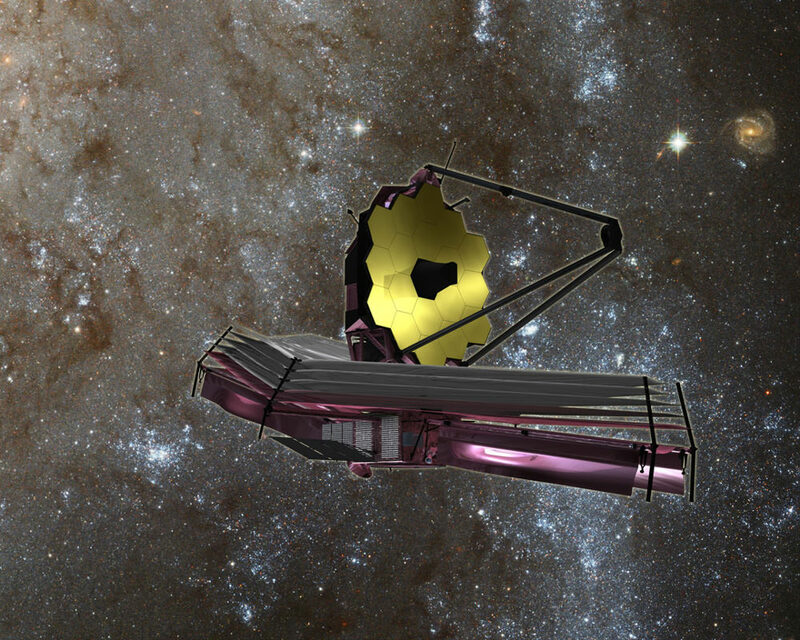 The telescope was also able to track the simulated star’s movement, which demonstrated that the JWST will be able to acquire and hold research targets once it is in space. Many tests are still needed before the JWST can take to space next year. These will be conducted at Northrop Grumman’s company headquarters in Los Angeles, where the telescope will be transported after leaving the Johnson Space Center in late January or early February. Once there, the optical instrument will mated to the spacecraft and sunshield to complete the construction of the telescope. These tests are necessary since NASA will be hard-pressed to service the telescope once it is in space. This is due to the fact that it will be operating at the Earth-Sun L2 Lagrange Point (which will place farther away from Earth than the Moon) for a minimum of five years. At this distance, any servicing missions will be incredibly difficult, time-consuming and expensive to mount. However, once the JWST has passed its entire battery of tests and NASA is satisfied it is ready to take to space, it will be shipped off to the Guiana Space Center in Kourou, French Guiana. Once there, it will launch aboard a European Space Agency (ESA) Ariane V booster. Originally, this was scheduled to take place in October of 2017, but is now expected to take place no earlier than Spring of 2018. When the James Webb Space Telescope is operational, it is expected to reveal some truly amazing things about our Universe. In addition to looking farther into space than any previous telescope (and further back in time), its other research goals include studying nearby exoplanets in unprecedented detail, circumstellar debris disks, supermassive black holes at the centers of galaxies, and even searching for life in the Solar System by examining Jupiter’s moons. For this reason, NASA can be forgiven for pushing the launch back to make sure everything is in working order. But of course, we can be forgiven for wanting to see it launched as soon as possible! There are mysteries out there that are just waiting to be revealed, and some amazing scientific finds that need to be followed up on.